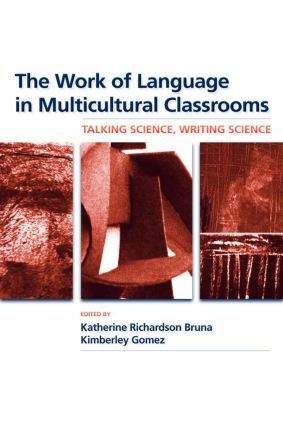 How does language comprise the implicit or explicit curriculum of teaching and learning in multicultural science settings? Building on a growing interest in the ways in which language and literacy practices interact with science teaching and learning to facilitate or obstruct successful student outcomes, this book contributes to scholarship on the role of language in developing classroom scientific communities of practice, expands that work by highlighting the challenges faced specifically by ethnic- and linguistic-"minority" students and their teachers in joining those communities, and showcases exemplary teaching and research initiatives for helping to meet these challenges. Offering teacher practitioners and researchers in the fields of science education and multicultural education lenses through which they can critically consider the myriad of classroom settings, instructional approaches, curricular materials, and scientific topics involved in what it means to teach science while pointedly addressing concerns about equity of educational opportunity, this volume serves as a powerful resource for linking theory and practice. End-of-chapter reflection questions and engagement activities facilitate discussion round these issues and provide rich opportunities for the reader to consider the implications of each chapter for science instruction and research and to apply insights developed in a real-world science teaching and learning contexts. Katherine Richardson Bruna is Assistant Professor of Multicultural and International Curriculum Studies in the Department of Curriculum & Instruction, College of Human Sciences, Iowa State University. Kimberley Gomez is Assistant Professor of Literacy, Language and Culture and Learning Sciences at the University of Illinois at Chicago.